An active duty US Air Force aircrew from the 22nd Airlift Squadron at Travis AFB, California, along with Maj. Gen. Warren D. Berry , the Vice Commander of Air Force Materiel Command at Wright-Patterson AFB, Ohio, ferried the thirty-second C-5M Super Galaxy from the Lockheed Martin facility in Marietta, Georgia, on 9 December 2015. 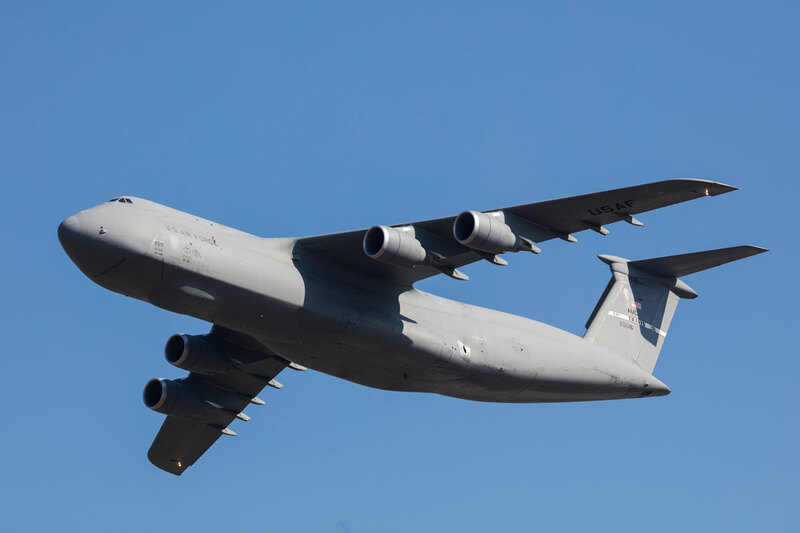 This was the ninth and final C-5M scheduled for delivery in 2015. The aircrew flew the C-5M to Stewart ANGB, near Newburgh, New York, where it will undergo internal paint restoration. Once paint restoration is completed, the aircraft will then be flown to Travis AFB, California. It will be the fourteenth Super Galaxy assigned to Travis. This aircraft (U. S. Air Force serial number 86-0016) was originally delivered to the Air Force in December 1987 and had recorded approximately 21,509 flight hours prior to the ferry flight.